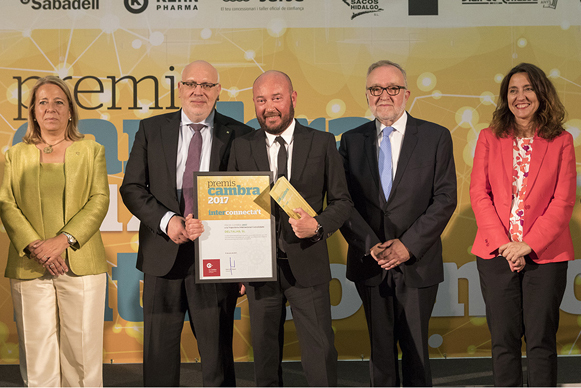 The Chamber of Commerce of Terrassa has awarded Deltalab with the Cambra’17 Award to the Consolidated International Trajectory. The entity has recognized Deltalab’s commitment to export since the company began its international activity in 1980. The Chamber has distinguished Deltalab for having made a “sustained” expansion of its international activity, maintaining a “growing” trajectory and achieving a “consolidated international position”. Deltalab’s commitment to export is decisive, with attendance at the most important international fairs such as Medica, Arab Health or MedLab and the consolidation of a network of 800 distributors in more than 100 countries that allow it to find manufactured products in the Deltalab factory of Rubí in the 5 continents. Over the years, exports have grown steadily to achieve the 55% of the company’s turnover in 2016.